Let’s start with the numbers: 55,000 kids, 3,000 classrooms, 118 cities in 32 states across the U.S. Add it all up, and you have LitCamp--the summer program developed by LitWorld in partnership with Scholastic. The message we've received from parents and teachers around the country is clear: LitCamp is truly revolutionary. It is an exciting and dynamic solution to the catastrophic "summer slide" which can seriously interfere with a child's growth as a reader. We have created LitCamp with a combination of exceptional lessons in reading, writing and storytelling combined with superb children's books, carefully selected by LitWorld to reflect the wide and diverse world of childhood. LitCamp serves students from kindergarten through fifth grade. 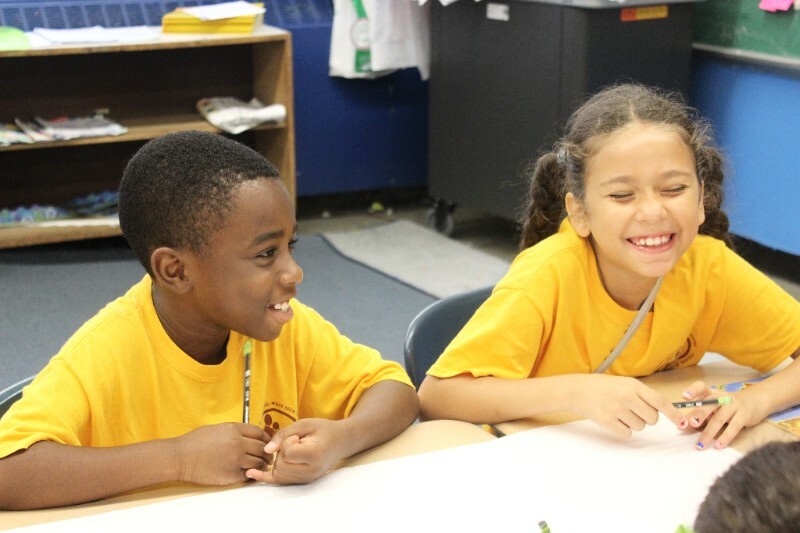 LitCamps were adopted by the New York City Department of Education as a key part of the “Summer in the City” Initiative, and by many other districts and cities across the country including Oakland, Austin, and Richmond. "What happens when you bring nearly a hundred girls together for LitCamp? Empowerment and Magic. They learned to share, to be brave, to be open, to be helpful, and to be committed to improve themselves and their communities. These little girls found that they have big personalities and big dreams, and that they can work together to make those dreams a reality." While the cost per child is low, the benefits are profound. Summer has ended, but we can keep summer dreams alive by getting ready for next summer and by helping many more children attend a LitCamp. Please consider making a donation to LitWorld to turn every child into a Super Reader!